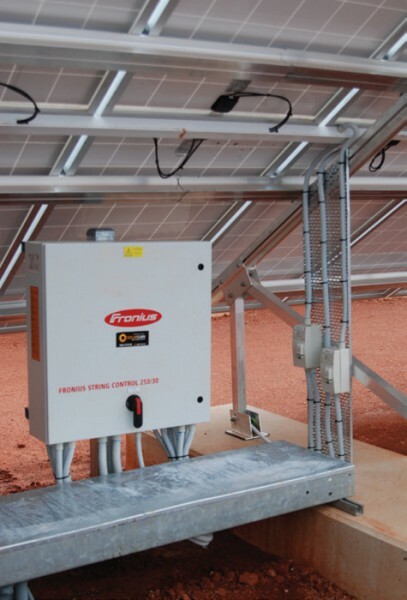 The system comprises 500 X Suntech 300W PV modules and a duo of Fronius Agilo 75kW inverters. Of note also is the high quality ground mounting PVMax3 product from Schletter GmbH. Solargain PV is very excited to be working with high quality manufacturers to deliver projects such as these. As with most systems of this size, Western Power does not allow excess power to flow from the PV system out onto their electricity network. The reverse power protection system is thus capable of ramping down the power output of the inverters to match the site’s electrical loads. Solargain also worked with a Kalgoorlie-based civil engineering firm to overcome the challenges of installing on soft clay soil. Solargain has successfully completed another project for the City of Kalgoorlie Boulder, their largest so far as of 2014. 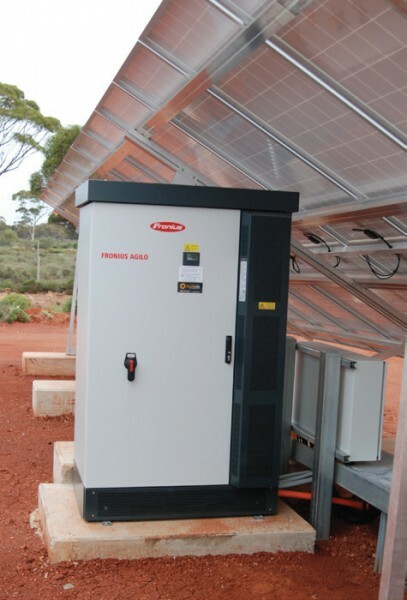 Solargain looks forward to mining more of the Kalgoorlie sunshine resource in the coming years!